Send relevant, customised reminders and follow-ups by email and SMS to your customers and resources, according to details of each booking. 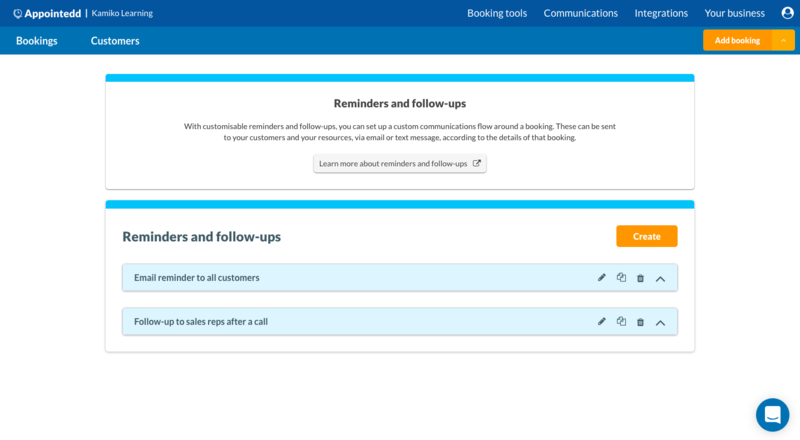 With Appointedd, the reminders and follow-ups you send around a booking can be entirely relevant. By sending relevant communications, you can prepare the recipient before the booking occurs and nurture them after. You choose the channel (email or text message), sender, recipient and content of the communication. 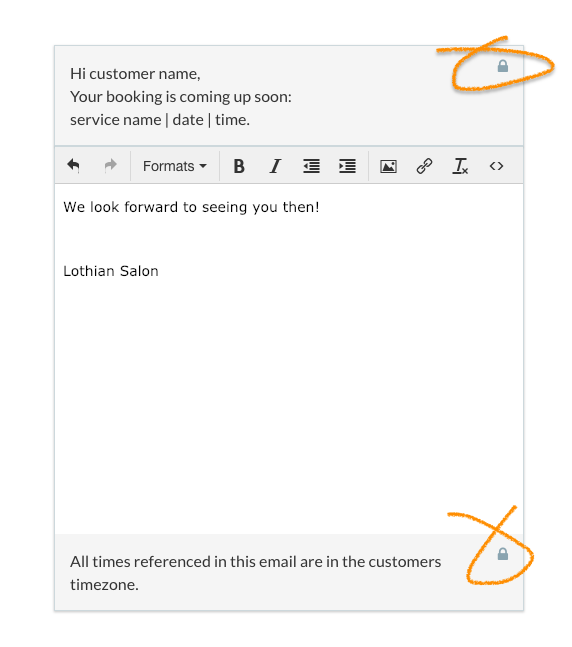 As reminders and follow-ups are transactional (sent in relation to a booking) they are not classed as marketing so will send regardless of the customer's marketing preferences. See more about marketing preferences in Appointedd in this guide. The status of the booking. Please note: once you create your communications, they will become live and send automatically so you can focus on your bookings, knowing your customers and resources are receiving all they need. A text message which sends to the customer 12 hours before a booking with any resource for a telephone interview. An email which sends to your resource Barry 1 hour before a booking with him. An email which sends to the customer 3 days after a booking for a consultation which had an arrival status of complete. An email which sends to your customer 1 day after a booking which has an arrival status of no show. You can access your reminders and follow-ups alongside all communications sent from your account, under the communications tab. Bundle reminders and follow-ups to ensure that the recipient doesn’t receive more than one of the same communication in one day, instead they receive one copy of the communication, with details of all of the day's bookings. For example, if your customers often have multiple bookings with you in one day, bundle a reminder so the customer receives only one reminder (which includes details of all of the day's bookings). If you're unable to click save, go back to the form to check that all mandatory fields (those marked with as asterisk *) are complete. The content in the locked box will pull through the information about the booking (customer name, service name, date, time and timezone). Additionally, you can edit each, create a copy or delete them by clicking the appropriate icons. If a booking qualifies for more than one reminder or follow-up at one time, only one communication will be sent. For example, if a booking qualifies for two reminders both due to send one day before the booking, only the communication which was created first will send. If a customer replies to an SMS communication message, there will be no response. All SMS messages are sent to a no-reply number and your customers will not be notified. If this is important, you can add a message at the bottom of you SMS communications that says "please do not reply".